President Cyril Ramaphosa says government will be meeting with organisations representing the truck drivers in the country soon. Ramaphosa was speaking on SABC Radio station Ukhozi FM. 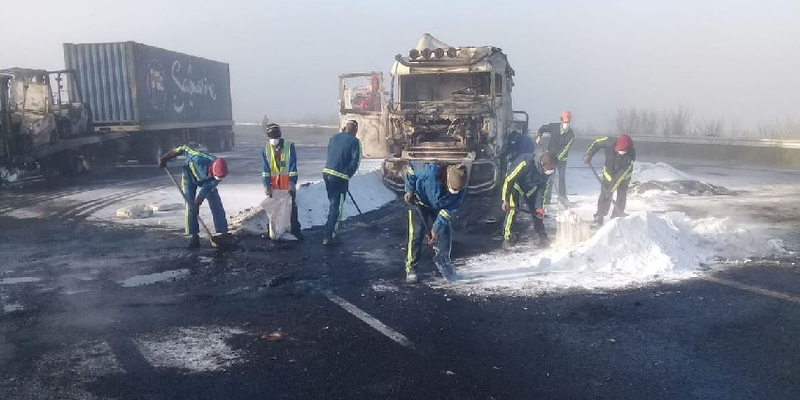 Last week, seven trucks were burnt on the N3 near Mooi River during a violent protest. The highway was closed to traffic for several hours. Ramaphosa says such actions are chasing away investors. The post Burning of trucks chases away investors: Ramaphosa appeared first on SABC News – Breaking news, special reports, world, business, sport coverage of all South African current events. Africa's news leader..
NEXT POST Next post: Is this Cape Town surfer Jason Momoa’s doppelganger?